If you seriously thinking about getting a new logo for your business the following information is mandatory to read before you proceed further. This short article will tell you in short what should you expect from the logo designers and what you should know about the logos in general. We understand that people don’t like to read long instructions but this is something you will benefit from. All companies have their own visual identity, a logotype (in short “logo” or “identity block” which consist from the icon (if any) and a typography part arranged horizontally, vertically or any other form, we’ll get back to it a bit further). logo extends the company’s corporate identity style and standards. Not every logo can communicate the mentioned above reasons. A professionally designed logo needs to be simple enough, without cheesy elements and overused approaches. That’s not easy to achieve in a modern era of marketing, branding and highly competitive graphic design industry. The less details – the better. To keep logo as simple as possible is primary goal of the logo designer. The process of designing such logo combines lots of techniques and approaches such as playing with various self-explained visual symbols, associations, colors, fonts, making all elements simple and compact. After the elements have been chosen and simplified designer needs to pick up the right component to work with. That is why designers provide clients with different proposals and clients pick directions to follow. Designer needs to be sure that logo is visually balanced, that customers can understand it, read and memorize it. Logo needs to be sharp, clean, simple and identifiable with a glance. The bold logos used to be more memorable rather than thin and exquisite so you know. The graphic elements, symbols should be in sync with the name of the company, the general look and feel style should be unique enough for the industry and shouldn’t follow the mainstream trends. Keep color preferences of your logo simple, stick to 2 or 3 color scheme. Avoid fancy gradients and acid colors. You must think its cool and this adds some “wow effect”. No. Stay away from this. Technically, there are no rules in designing logos. The all process relies on good sense of taste and aesthetic. With experience designers grows the sense of that and can translate their knowledges into the visual. communicate what company does (preferable) or have a nice story behind. Having a strong logo is the first step of creating the corporate identity in general or develop a brand. Along with a logo sometimes it is very important to have a moto or slogan, so think about it also. The moto could be that story behind the visual representation of the logo. Your technical assignment (aka Brief) for the logo design job is the starting point for our designers where they can to pick up the initial information about your company and be inspired. It is very important to provide us with a Brief. Failing to provide us with a brief promptly could lead to delays in providing you with design proposals. You need to take your time and fill out the brief as completely as you can. It doesn’t need to be perfect though but needs to contain info about your preferences and expectations for the logo design. Usually, most of the logo design proposals take their shapes during the actual process of designing when you start getting them through the Assessment System. Needles to say that providing us with all needed information will prevent misunderstandings during the actual process. You will be sent an initial Brief form to fill out after we get your payment for the package. You will be responsible to fill it out during the 24hrs so we can start brainstorming. remember that logo can’t reflect and communicate everything your company deal with. Logo needs communicate your mission or it should has a nice ‘story’ behind the graphics. In order to be able to trademark you logo in the specific industry your logo needs to be unique enough to meet certain standards. To avoid any legal actions against your brand you need to be very careful with generic logos and this is something you need to research. Please spend some time on a bit of research for the “generic logos” + “your industry” or “logo + your represent” (for example “dental logo”) online using Google Images Search for example. We also check our logos for the generic approaches, and find the logos which potentially have the same look and feel. But sometimes it’s hard to convince the client to stay away from particular approach. So this is very important and you, as brand owner, will be responsible for your brand in the future. try to listen to our suggestions. Many clients are not graphic design industry enthusiasts and they know nothing about overused fonts, overused techniques, overused concepts or color theory for example. We try to translate our knowledge and experience regarding that to them. So don’t take it personally when we might seem to you as we lecture you in some way. We just want to create a good logo for you. Please note that we create logo proposals in black and white mode (grayscale when applicable) at the very begining, in a classy way. This ensures the logo is professionally designed and can be reproduced in one color. When concept is approved by the Client, we can play with color options. You need to show us what kind of logo you are looking for. It is crucial for us. If you are not have specific types in mind and want to rely on our experience and creativity, please mark that option in your Brief. Provide us with key words or your ideas so we can start researching and brainstorming. Letters combined within a graphic element. Identify your character and tell us what he/she should look like, his posture, etc. Please provide us with the information regarding styles of the character like comic, simple or complex details, 2D or 3D feel of it. Please note, if you require this character logo style you have to contact us first to get a Brief form us so we can give you a quote. Our design packages don’t cover this particular style. Your Brief needs to be evaluated first. The price depends on complexity of the character and it’s posture variations. All product names, logos, and brands shown here are property of their respective owners. All company, product and service names used in this website are for identification purposes only. Will I be eligible for a refund if I don’t like any of your logos? You will be able to request a refund during the first 48hrs after payment. You will get a full refund minus PayPal fee if any. After 48hrs expired you will not get a refund since we provide our services for very attractive and affordable prices, and once we have started working on your project there is no way back. We’re already involved in the process and spend our working hours on your project. Unfortunately, due to the high amount of frauds we have to act this way. But don’t worry, according to our statistics only 5% of our clients requested a refund for the last years. You will not regret having business with us! Please note, that you have to provide us with a Brief during 48hrs after payment. 5. What source files I will get for the logo? You will get at least .eps, .ai and .pdf vector files no matter of what package you’ve selected. Normally, it’s enough data for further manipulation and use. Depending on packages you will be also provided with some extra files described in Logo design packages. For logo design sources we use RGB color mode. In Basic package you’ll get only RGB mode files for web use. For Premium and Elite packages you will get files with CMYK mode for hi-resolution raster images as well. CMYK mode will be also provided for corporate identity items. Keep in mind that we advise you to perform a CMYK-RGB colormatch with your local print shop if you need to print out something, since the print equipment and it’s color management profiles are different from one to another. Our CMYK color codes provided as a rough numbers and need to be evaluated by print technician before print. Some more explanation on RGB, CMYK you can find in FAQ section below. Who own the copyrights for the logo after the purchase and finalizing the project? The legal ownership of the completed logo transfers to the Client from Exim Design.  All other logos and proposals submitted during the development phase through the Assessment system, with the exception of the selected concept, remain copyrighted by Exim Design. After project is complete you will be sent with a Copyright Transfer Release form. Clients may make any modifications to the logo after the rights are transferred at their own risk. The amount of revisions in logo packages is small. Why? We provide our source vector files for logos in RGB mode with CMYK color codes stated in the file. The reason for that is that you appreciate logo in RGB mode through your screen and different screens show the colors in slightly different manner. For web usage you always use RGB mode. CMYK color mode is used for printing. And if you want to print your logo on a big banner for example, you need to contact your local print shop and perform a color matching procedure on site, and perform maybe a test print first. This happens because there is no 100% transition path in color codes from RGB into CMYK values. Moreover, each printing equipment is different, working with various settings and color profiles. We provide CMYK codes just for the reference. The actual graphic needs to be altered a bit in terms of colors. For Letters, Business cards, Envelopes we provide clients with pre-designed vector based files (Adobe Illustrator, AI) in CMYK color mode but they are also need to be evaluated by printing technician first. We use a backend system when all logo design concepts posted for your consideration. After your package purchase, you will get a link, and login credentials to access the system. The process of designing is private and not visible to search engines. What do you mean by saying Initial proposal? Usually we identify a period of time from the moment we got a completed Brief from you to the time when you start getting your first logo design proposal within selected package. Basically, this is a period of time we use for researching, sketching and brainstorming. Ready to cooperate? Choose the package! This package does not provide logos designed as characters and logos with custom made typography. Interested in other design services? Are you looking for other web design, web development services, maybe you want us to design for you some other corporate identity items such as business cards, letterheads, folders, pins? Please check out other packages you might be interested.